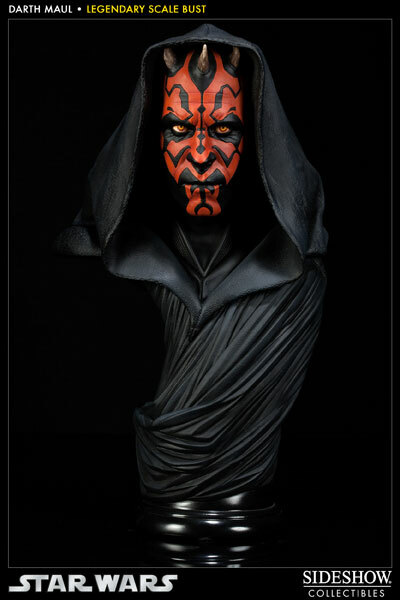 Sideshow Collectibles proudly presents the fearsome Sith, Darth Maul, as the newest addition to the Star Wars Legendary Scale Bust collection. Crafted in 1:2 scale, each piece is hand painted and individually finished, bringing the merciless killer to life with exceptional attention to detail. 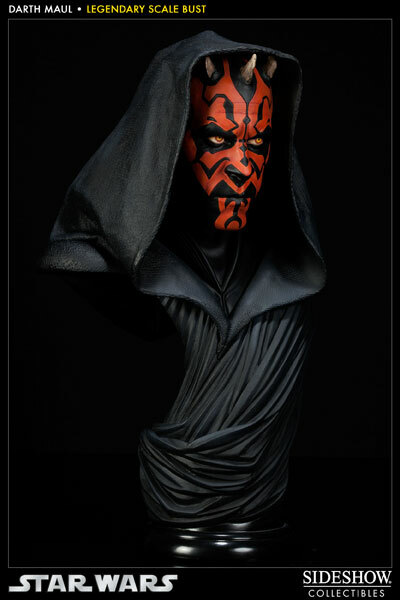 The Darth Maul Legendary Scale Bust makes an outstanding addition to any collection. Darth Sidious is an unparalleled mastermind. By subtle arts and quiet maneuvering, the Sith Lord has engineered a crisis of confidence between the Republic's governing body, the Galactic Senate, and the galaxy's corporate giants. Spurred to rash action by their secret benefactor, Trade Federation Viceroy Nute Gunray and his Neimoidian associates have blockaded the peaceful world of Naboo in order to force a resolution to the taxation issue that threatens their continued profitability. 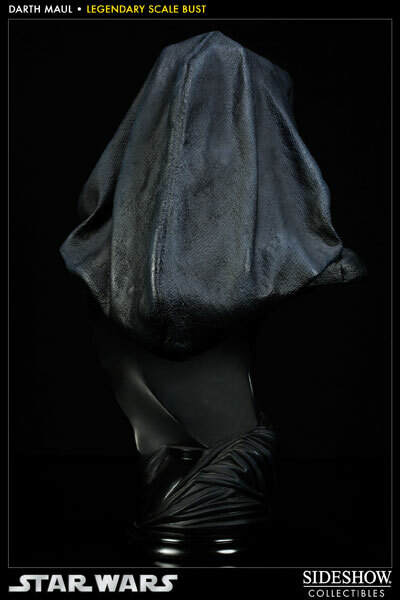 Emboldened by their alliance with the secretive Sith Lord, the Neimoidians are unaware that they are pawns in the opening move of a much larger game being played by the hooded villain. But when the skittish aliens begin to lose their nerve and fumble the operation, Darth Sidious unleashes another of his hidden weapons, one far more dangerous and efficient - one that will not fail him. 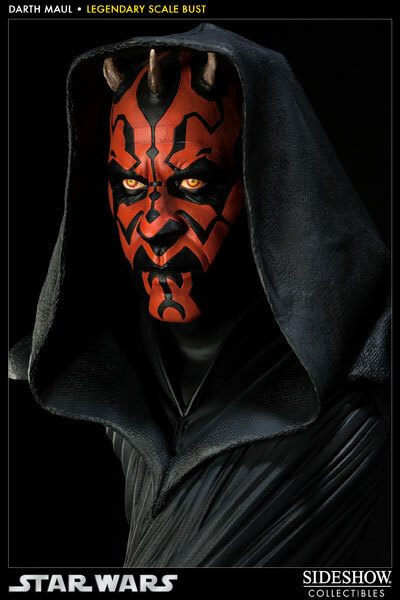 Trained in secret as a merciless killing machine, the diabolical Darth Maul is the perfect counterpart to his Lord's subtlety. 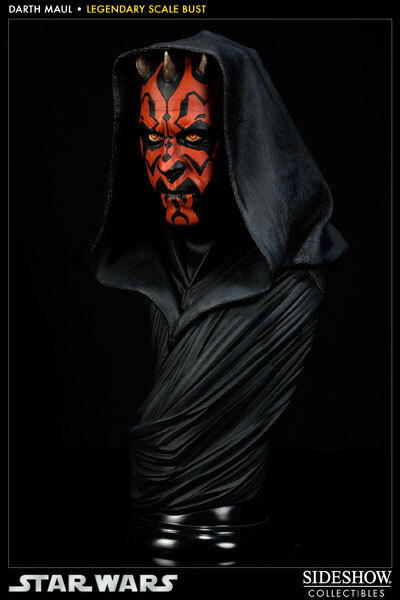 Where Darth Sidious is shadowy and elusive, his scarlet and pitch-tattooed apprentice is a vivid manifestation of Sith rage. 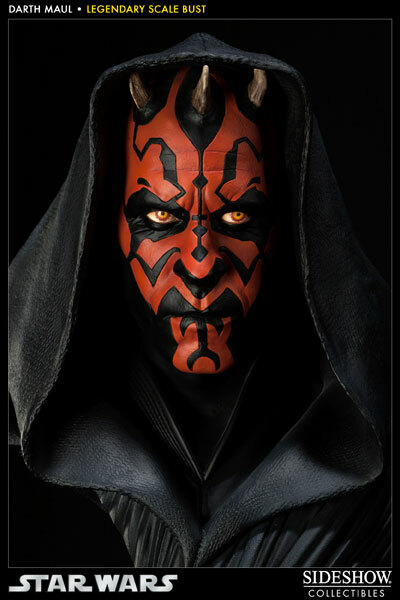 Sharpened horns curve, scythe-like, from the skin of his shaved head and the fiery red thrumming of his double-bladed lightsaber is matched only by the blazing intensity of his venomous stare. Armed with a deadly array of weapons and sophisticated tracking equipment, the Sith hunter is dispatched by Lord Sidious to track down Naboo's errant Queen Amidala and force her to submit to the Federation's demands. 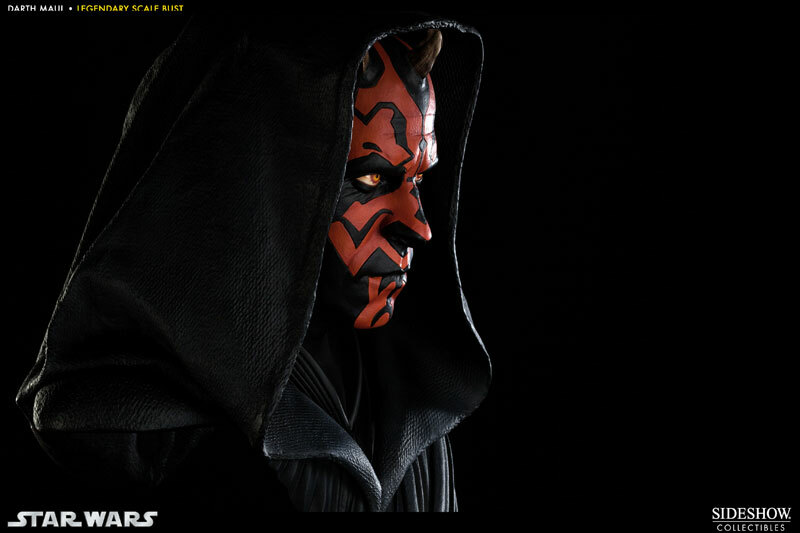 That two Jedi will stand in the killer's way only spurs Maul's eagerness and fuels his determination. 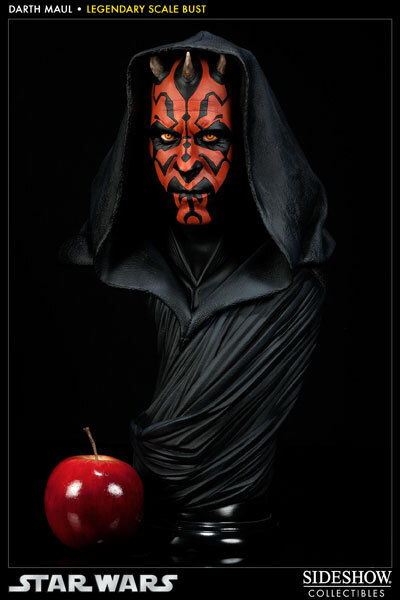 With death and fire, the Sith will at last reveal themselves to the Jedi! © 2012 Lucasfilm Ltd. & TM.